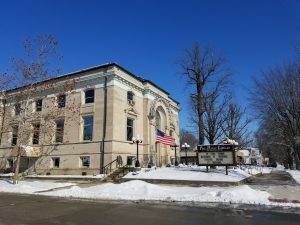 The Peru Public Library building was built in 1902, although the library was officially started in 1897. A recent remodel updated the library, creating a welcoming space for families and a brighter (lighter) place – one that hopefully invites you to come in and enjoy your time here! 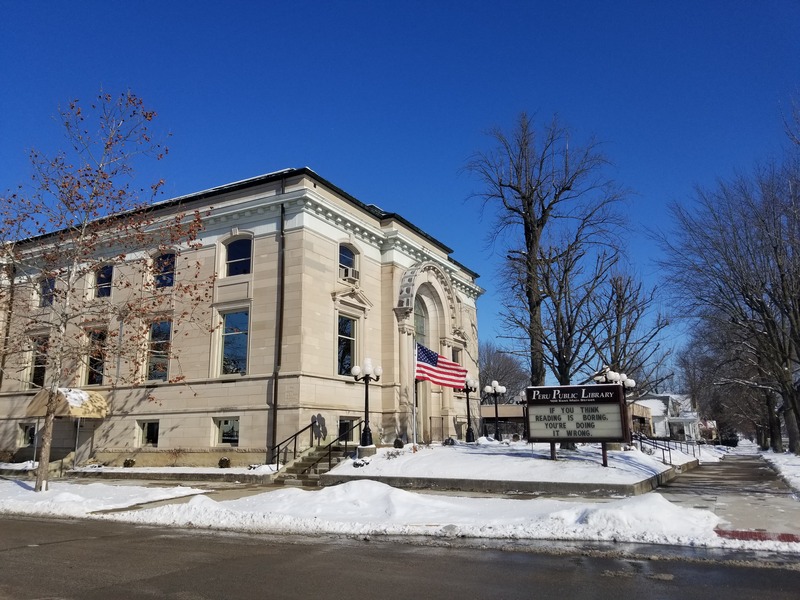 We are proud to be serving the wonderful community of Peru and seek to support and help build the area’s continued development and enrichment through access to informational and recreational resources, materials, and services. We are happy to offer a collection that includes books, magazines, microfilms, large print books, newspapers, audiobooks, CDs, DVDs, databases, and more! We have materials for children, teens, and adults, and have a large digital collection (movies, non-fiction books, fiction books, audio-books of both fiction and non-fiction works, and more). We also have book exchange collections, for those who want some extra reading materials or those without library cards! We are especially excited about the services and programs we offer, from open access to computers to meeting rooms, and from children’s story times to adult and teen craft workshops! We would love to help you, so come in today or contact us!